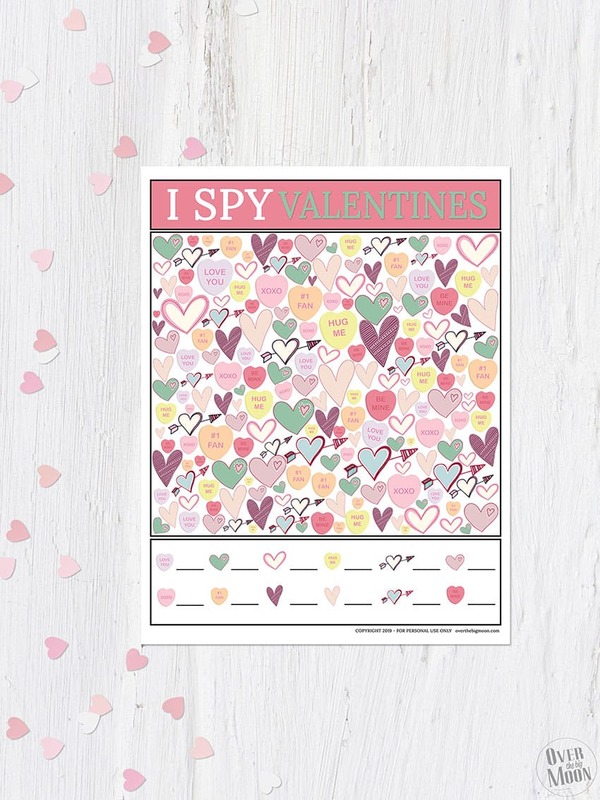 This kids Valentine’s Day I Spy Printable Game is such a fun activity for kids as a New Years activity! Just print and play! So simple! For this version of I Spy, it’s pretty simple! You just choose a picture from the bottom key and count how many of that picture are in the main image box. To make it easier for younger kids, allow them to use a marker or pen and mark off the pictures as they count them. To make it harder for older kids, don’t allow them to mark off the items as they count them. Once they’ve got a guess to how many of the item there is, then have them right their guess in the bottom key, next to the appropriate image. And that’s it! Super simple, but SO fun! This is a super fun game to play in older elementary classrooms for their Valentine’s Day party! I like to buy a giant bag of DumDum Suckers and give one to every student as they complete the ISpy Game. Free Printable games are my favorite way to help celebrate holidays with my kids! It’s so simple and affordable and my kids always look forward to it and now even expect it! 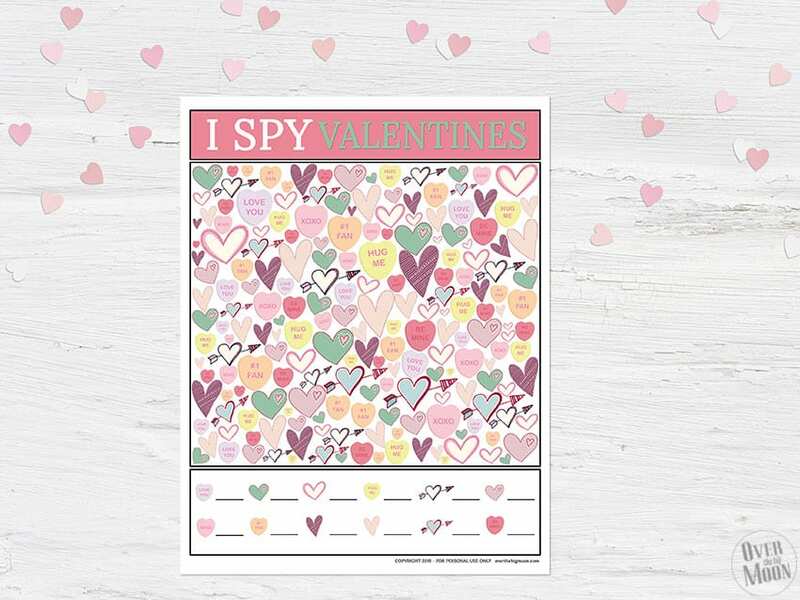 Below I’ve linked up a few of the Valentine’s Day Games that I plan on printing and playing with my kids (aside from this I Spy of course)! If you love these I Spy Games, then download them for all the other holidays and seasons! Looking for some other fun Valentine’s Day activities and traditions? 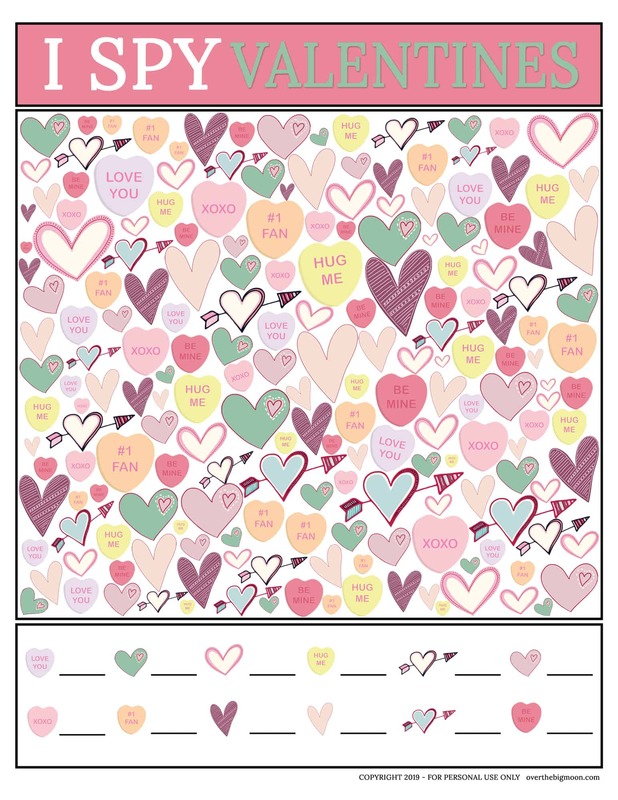 Also, if you’re looking for some fun printable Valentine’s, be sure and check all my Valentine’s FREE Printables out here! 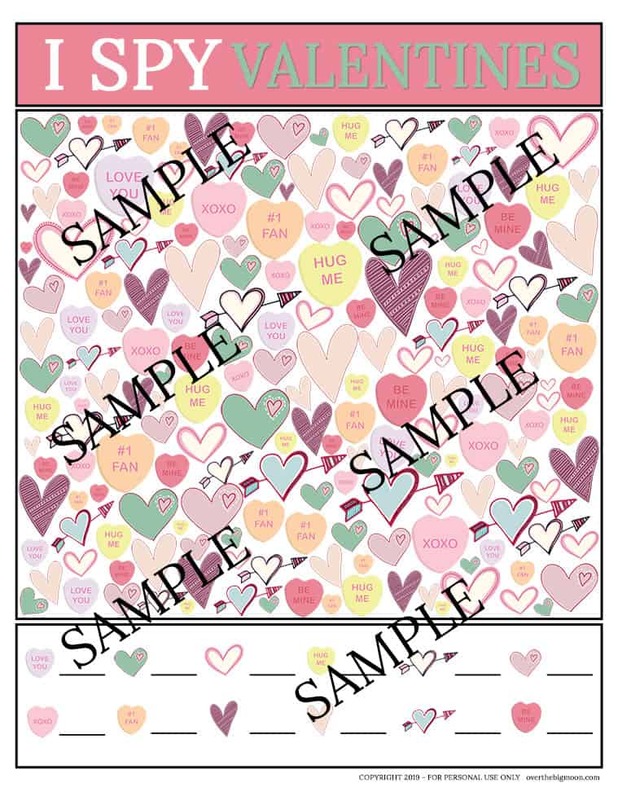 FREE Printable Valentines Lunch Box Joke Cards!